Virgin Money is collecting Easter Eggs for the Hartlepool Special Needs Support Group. 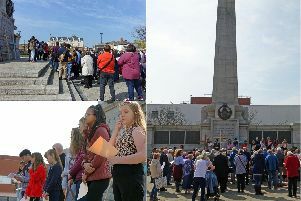 It’s going to be an extra-special Easter for a Hartlepool group. Virgin Money’s Hartlepool store in York Road is collecting eggs for Hartlepool Special Needs Support Group. The support group was started in 1989, and over the years has become recognised as a specialist provider in their field. The group’s aim is to alleviate the needs and advance the education of children and young people with physical-learning disabilities with varying complex needs, including life-limiting conditions, and to support their families and carers. They also aim to change preconceptions about disability and to raise public awareness. Easter Eggs can be dropped off at the store, up to mid March - you don’t have to be a Virgin Money customer to donate to the appeal. Gillian Morton, Virgin Money Hartlepool store manager said: “We are collecting Easter Eggs on behalf of Hartlepool Special Needs Support Group, who do such great work and play an important part in our local community. “We hope that by collecting and donating the Easter Eggs we can put a smile on children’s faces this coming Easter. “I would like to say a huge ‘thank you’ to everyone who has already made a donation, we are extremely grateful. “For anyone who would still like to donate an Easter Egg there is still time and we are taking donations up to mid-March.